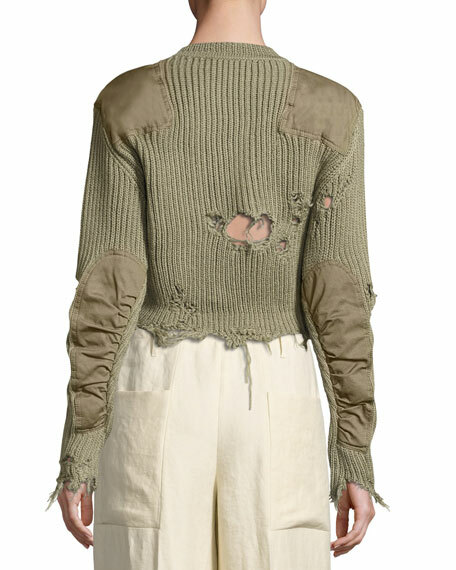 Yeezy knit sweater with destroyed finish. Crew neckline; cotton patches at shoulders. For in-store inquiries, use sku #1959977.